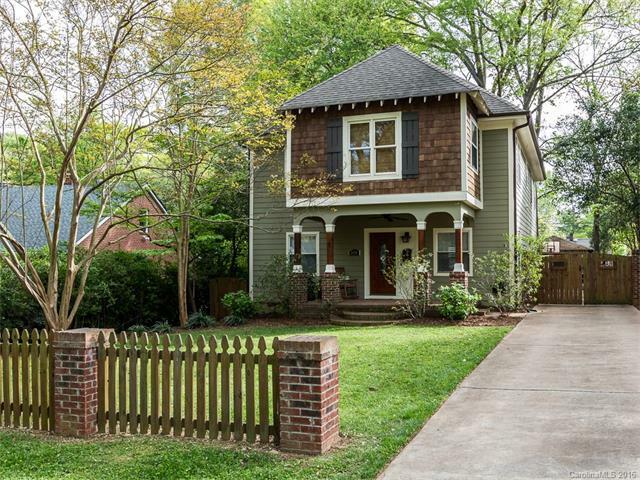 Charm & character abound in Commonwealth Park! If you want to proximity to Center City but the peace and quiet of a neighborhood and a yard of your own then you need to check out Commonwealth Park. The 500-acre area is located between Central and Commonwealth avenues north of Independence Boulevard (US 74) at Ovens Auditorium. Eastway Drive and Briar Creek Road for its northwest and southeast borders. 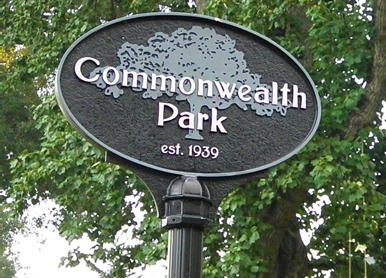 Commonwealth Park was established in 1939. Like Chantilly and Plaza Midwood, Commonwealth Park has seen an influx of renovations, new construction and younger families move to the area as it has gained popularity for its proximity to Uptown; it is just 4 miles via US 74. Commonwealth Park is convenient to various shopping and retail destinations along Independence and Central Avenue as well as Plaza Midwood, Elizabeth, Commonwealth, NoDa and Cotswold. This beautifully updated 1940 home is currently listed for sale by Savvy & Co. (current as of May 29, 2016). For a game of golf or social event, the Charlotte Country Club is only 2 miles away. Ovens Auditorium and the Coliseum are just across Independence for various events throughout the year. There is no shortage of activity in the area! The neighborhood is a diverse mix of homes. Many were built in the 1940s to 1960s, but some have been torn down and rebuilt, while others have undergone extensive renovations. There are still some great deals in the neighborhood and homes in need of TLC and updating. Home sizes vary, but the majority of homes are between 1,300 square feet and 2,700 square feet. Lots average about one-quarter of an acre. A total of 16 homes sold in the last 12 months for an average price of $332,283 and nearly $178 per square foot. There are currently 8 homes for sale in Commonwealth Park. Only 1 is under contract as of May 29. All of the homes listed for sale were built around 1940. All but one of the homes have been updated or renovated. List prices range from $160,000 to $648,000. Neighborhood children currently attend Oakhurst Elementary, Eastway Middle School and Myers Park High School.